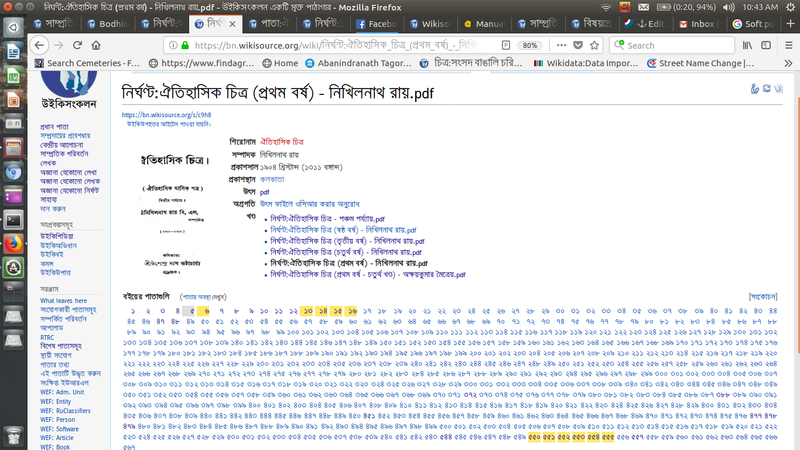 We are noticing an irritating bug in Index pages in Bengali Wikisource, where the proofread quality color codes of pages are not displayed. Soft purge, Hard purge and Null edit is not helping to bring the colors back. Happening in English Wikisource also (see the discussion here). The only solution as for now as @Billinghurst suggested is to touch the pages, but it will take a huge amount of time with pywikibot to touch all NS:pags. Touching pages is needed to guarantee a fix. I see that some pages are resolved with purge, though that it is not a universal solution. Having to go back and touch every Page: namespace page is a solution, though could be an excessive solution. This task is duplicate of T198470. @Billinghurst: I just started nul-edits at pl.ws to fix this as it hurts a lot of pages.